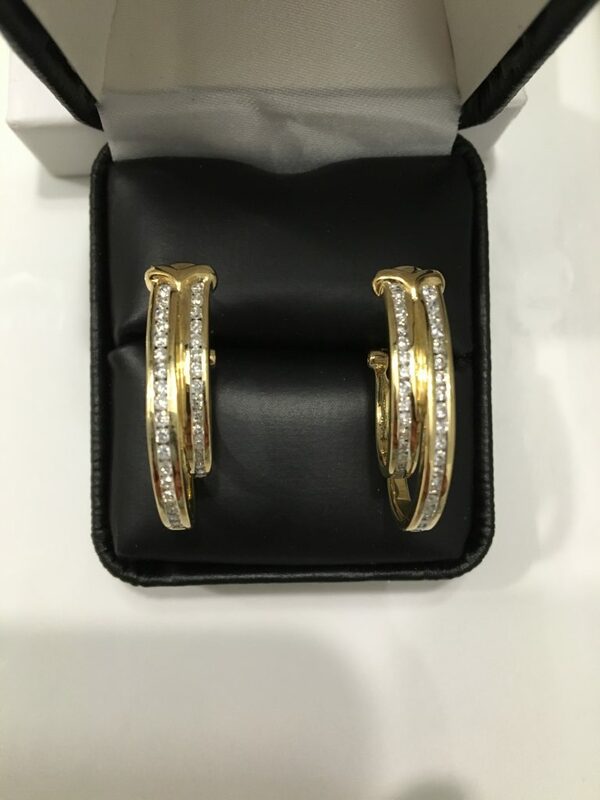 Ladies 14k yellow gold diamond hoop earrings. Approximately 1.50 Ctw with French back. The diamonds are set in a channel setting.